If you are a U.S. green card holder and you are planning a trip to the UK questions begin to arise in your mind like, can a U.S. green card holder travel to the UK without a visa? Or, what are the UK visa requirements for U.S. green card holders? If you are in these shoes you do not to be perplexed, several other people have asked similar questions in the past and have gotten answers so why shouldn’t you? There is usually a bit of confusion when people try to distinguish between a US citizen and a U.S. green card holder. This article will help you understand the difference and also give you answers regarding whether you need a visa to travel to the UK if you have a green card. This article will also provide you with information regarding visa application fees and requirements, documents you need to submit with your visa application, etc. It promises to be an enlightening and interesting read so join me. Who is a U.S green card holder? As stated earlier, most times green card holders are mistaken for citizens but on paper there is a marked difference. Simply put a U.S green card holder is someone who has traveled to the U.S. and has gained the status of permanent residence. Green card holders are immigrants who have attained lawful rights as permanent residents of the United States. This means they can work and live the United States permanently. On the other hand, citizenship is the highest status that can be attained by an immigrant in the U.S. Attaining citizenship means the individual has all the rights to life as someone born in the U.S. Citizenship is obtained by naturalization. There are other ways an individual could attain citizenship like being born to U.S. citizens anywhere in the world. Another way is by being born anywhere in the United States. One way an individual can move from immigrant status to citizenship status is by joining the U.S. Army. 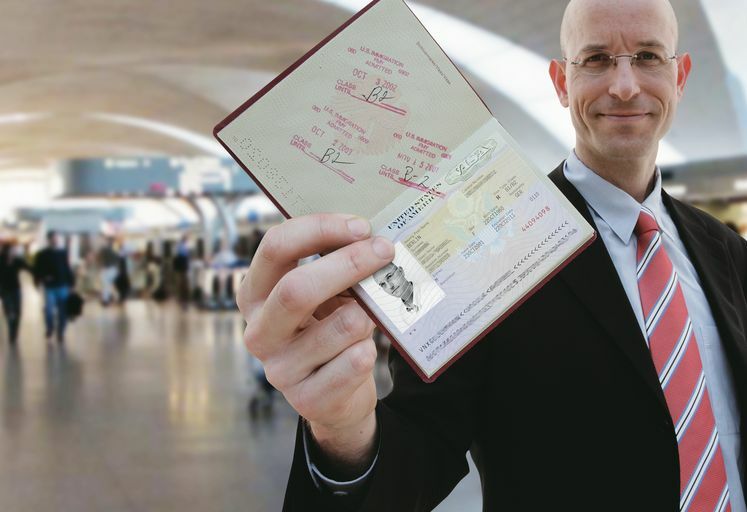 Before we even go ahead to discuss the UK visa requirements for a U.S. green card citizen it is wise to discuss briefly the rights of a green card holder. The first thing you notice is the individual is given a photo identification card, by the name you should know it is green in color. This is an evidence that the individual has the right to live and work in the U.S, travel in and out of the U.S., and recommend other close associates for the same status. Vote in any of the general elections. Leave the U.S. and stay away for unlimited periods of time. Cannot get the same assistance and benefits citizens can get from the U.S. government. Do U.S. green card holders need visa to visit the UK? This is one questions that has been asked over and over in different quarters. The truth is the UK is one of the choicest places to visit in the world, even for people resident in America. You may wonder why. It is probably because of the royal family, the palace, the beautiful holiday resorts, the business opportunities, the premier league, etc. There is usually a special visa waiver for U.S. citizens but green card holders are not that advantaged. This means that as a U.S. green card holder you will need to apply for a visa to enter into the United Kingdom. The other question that begs to be answered is how easy the process to get the visa is? Getting your visa is usually a straightforward process. The UK however has strict check for individuals from certain countries. This means that if your birth country falls among any of such countries marked for strict observation, the process might be a bit more difficult or rigorous. The UK has several kinds of visas which the green card holder can apply for. The application processes for all the visas are similar except for the application fees and the required documents to be submitted. Visitor visa. This is required for any U.S permanent resident currently domicile in the United States. This is applied for if the individual just wants to visit the country for a few days to a few months, especially for tourism. The individual must possess a valid U.S. green card, a valid U.S. visa, or an employment authorization card. Study visa. This visa is also known as a Tier 4 visa. It is usually issued to individuals who been offered provisional admission to study in any of the institutions within the United Kingdom. It is usually valid for the duration of the course and a little time is usually added as cushion. There are also student visas for short term courses, ranging from 30 days to 6 months. Business Visitor visa. This is usually issued to U.S. green card holders who plan to visit the United Kingdom for business purposes. The individual must possess a valid U.S. green card, and employment authorization card, and a valid U.S. visa. Work visa. This is usually issued to U.S. permanent residents in the even that they have been offered employment opportunities within the United Kingdom. The visa issued is usually the tier 2 visa. It is important that before selecting this visa the applicant must have received the employment letter from the employers as proof to be presented during the visa interview. Settlement visa. This visa is issued to individuals who plan to relocate to the United Kingdom to stay. To do this the individual must be a relative of a UK citizen or resident working and living in the United Kingdom on a permanent basis. The visa also applies to the spouses, children, parents, grandparents or dependents of a UK citizen or resident. Direct airside transit. Issued when you are changing planes within the same airport in a duration less than 24 hours. Visitor in transit. This applies to every other kind of transit. So far in this article we have already established the fact that a U.S. green card holder is required to apply for and be issued a visa to gain entry into the UK. The question now is this, how can a U.S. green card holder apply for a UK visa from the United States? Complete the online application form. This is the first step as it is with many other visa applications for other countries. You are required to visit the website and fill the online application form. It is important that whatever you do, you ensure that you fill the form honestly and correctly. Ensure that the information provided is exact with the information on the other documents you will be required to submit. Failure to do this means your application is automatically rejected or declined. Also ensure that you pay the visa application fees. There are several companies that can assist with the application process, should you prefer that to doing it yourself. A clear print out of your application form. A clear passport photograph which is in conformity with visa application standards. A clear copy of your biometric application receipt. A few things to note about the biometric appointment is that children under the age of 5 are exempt from the digital scan of their fingers. Also you have a period of one and a half days to two weeks to submit all the required documents after the biometric capturing. Collect the list of required documents from the UK Embassy. Now that you are done with the biometric appointment it is important to know the exact documents you are required to present. 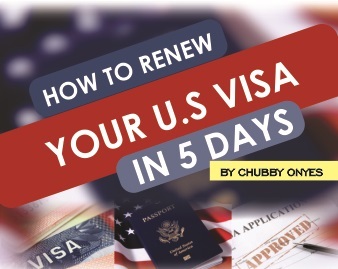 To get this list you will need to visit the UK embassy where you are making the application in the U.S. As you know, asides the general documents to be presented, each visa has specific documents peculiar to their processes. These extra documents are required to prove your reasons for traveling to the United Kingdom. Post your visa application. Before posting your application ensure that your passport is still valid for at least 3 months. It is actually better if it is valid for a minimum of 6 months. The passport must also have at least a page left for stamping at the embassy. Ensure you add to the package a prepaid electronic shipping label addressed to you if you want your visa posted back to you. It is also important have such records kept for reference purposes. This is one of the most asked questions about UK visas, how much are the UK visa fees? The truth about UK visas is that the fees for each visa is different from every other visa. To know the fees for the visa you plan to apply for click here. Old passports if available. This is show travel history likely to make the application process easier. Passport photograph taken according to the standards of the International Civil Aviation Organization. Proof of U.S. permanent residency. That means presentation of a valid U.S. green card. Proof of travel itinerary. The flight tickets and dates. Employment letter and a letter to show that you have been approved to go on leave, as well as the approved leave dates. Proof of accommodation either at by showing hotel payments or letter of invitation from a resident in the UK. Proof that you are able to sustain yourself financially throughout your stay in the United Kingdom. Please note that each visa has specific requirements that must also be met before the visa application can be considered for approval. I believe with the above information applying for a UK visa as a U.S. green holder will be way easier. Good luck.